Robert is a professional magician, mind reader and Demonstrator of Extra-Sensory Curiosities. He entertains with demonstrations of sleight of hand, memory feats, psychological reading and hypnotic suggestion. His natural wit creates an exciting, fresh, lively and intellectually stimulating genre of entertainment. Perfect for creating a talking point at any event! 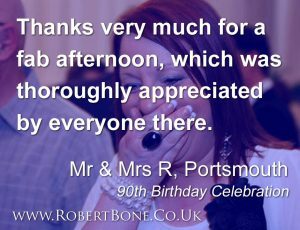 Robert lives near Portsmouth and regularly entertains around the area. He has performed at most of the main venues in the region (as well as many smaller venues too!) such as the golf courses and hotels. 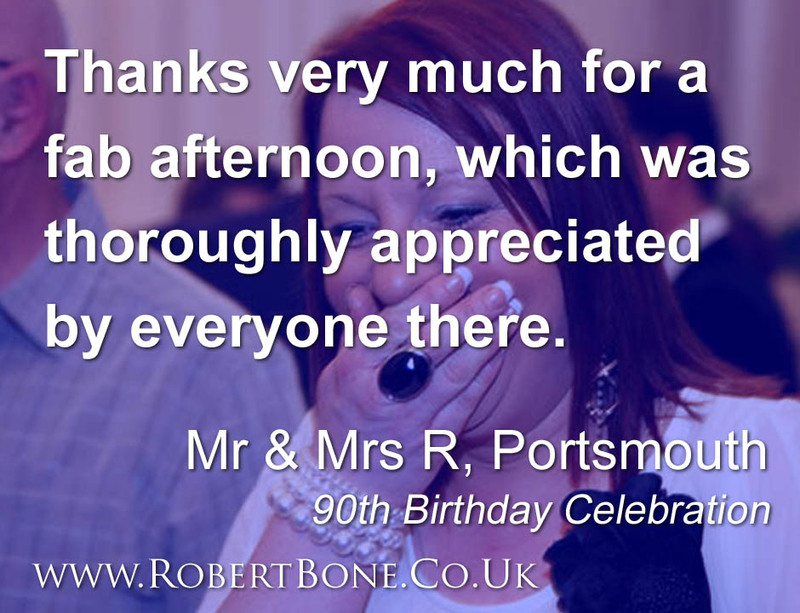 Because Robert lives in the area he regularly attends Wedding Fairs around Portsmouth and Hampshire, and is also happy to arrange to meet up and discuss your requirements. Based in Berkshire, he has easy access to London, Home Counties and the South Coast, and he regularly entertains at events across the UK, as well as the occasional international event.